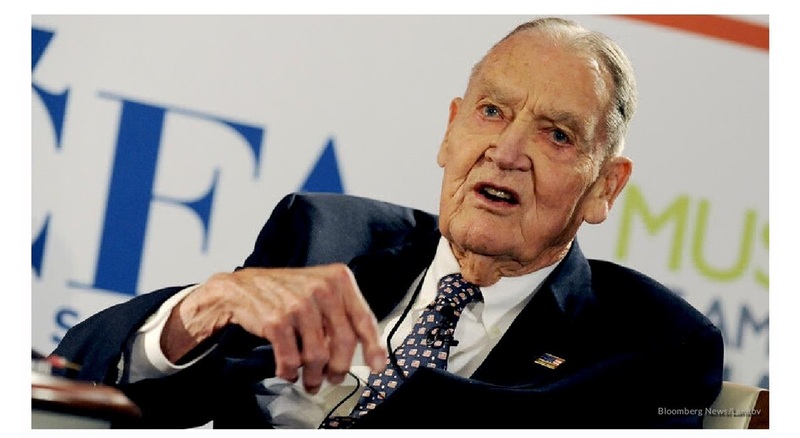 In early 2009 Vanguard founder John Bogle penned an article for the Wall Street Journal, "Six Lessons For Investors." All six were excellent pieces of advice and especially timely given the precipitous decline stocks had recently endured, and the widespread fear investors were experiencing. The first lesson might have been the most important, I've reproduced it below. You can read the entire article here (behind a paywall). 1) Beware of market forecasts, even by experts. As 2008 began, strategists from Wall Street's 12 major firms forecast the end-of-the-year closing level and earnings of the Standard and Poor's 500 Stock Index. On average, the forecast was for a year-end price of 1,640 and earnings of $97. There was remarkably little disparity of opinion among these sages. Reality: the S&P closed the year at 903, with reported earnings estimated at $50. Strategists aren't always wrong. But they have been consistent, betting year after year that the market will rise, usually by about 10%. Thus, they got it about right in 2004, 2006 and 2007, but also totally missed the market declines in 2000, 2001 and 2002, and vastly underestimated the resurgence in 2003. The irony of this advice, however, is that Bogle regularly makes forecasts about what stock returns will be going forward and how those will compare to historical returns. Now, you might find that peculiar, but not particularly upsetting. Except, what would you do if you learned that Bogle was predicting significantly lower-than-average future returns? Would you stick with your stocks or would you be tempted to consider safer bonds instead or even time the market? Maybe you'd take Bogle's good advice and tune out his predictions. If so, you can stop reading now and move on to more relevant articles. My guess is, however, more than a few otherwise disciplined investors would be tempted to reduce equity exposure or engage in a little market timing. I've talked to countless investors over the years who've admitted as much. This scenario isn't just conjecture, by the way. An article published in 2015, "John Bogle Says You Won't Make Much Money From Stocks," reported that Bogle was predicting only 4% a year returns on equities over the following decade, which was even lower than the 7% a year that he was predicting in 2013. The 2015 forecast is 60% less than the long-term stock average of about 10% a year; even the 2013 forecast is 30% lower. John Coumarianos, the article's author, bought it hook line and sinker, his opening line was: "Bogle finally has it right about stocks." How have Bogle's forecasts held up? About what you'd expect based on Bogle's prediction about the futility of forecasting! Through August 22nd, the DFA US Large Cap Equity Fund (DUSQX) returned +13.3% a year over the last five years and +15.2% in the previous three years. Now, we don't know what the next five to seven years will look like, but unless stocks have zero returns over this timeframe, Bogle's forecasts will prove to be way off. His actual prediction over the decade beginning in late 2013 was for stocks to earn +97%. In the first five years, they're already up +86%. His latest forecast, in 2015, was for stocks to make +48% over the coming decade. In the first three years, they've already eclipsed his forecast, up +53%! It's not just large cap US stocks that have exceeded expectations. A globally diversified portfolio that includes tilts to smaller and more value-oriented stocks (the DFA Equity Balanced Strategy) has returned +10.3% annually over the last five years and +12.8% per year over the last three. Dimensional reports that the annualized historical index return was +13.8% from 1970-2012. So recent returns across the globe have been slightly lower, but not by much. The takeaway? As Bogle himself suggests, steer clear of stock market forecasts. Even his! We don't know what stock returns will be in the near future, you should expect significant uncertainty, and results may not match historical averages. But instead of making wholesale portfolio changes, you should consider saving more or spending slightly less than if returns were going to be higher. If you're wrong, and returns are closer to historical averages or even higher, you'll simply have more wealth than you were planning for.